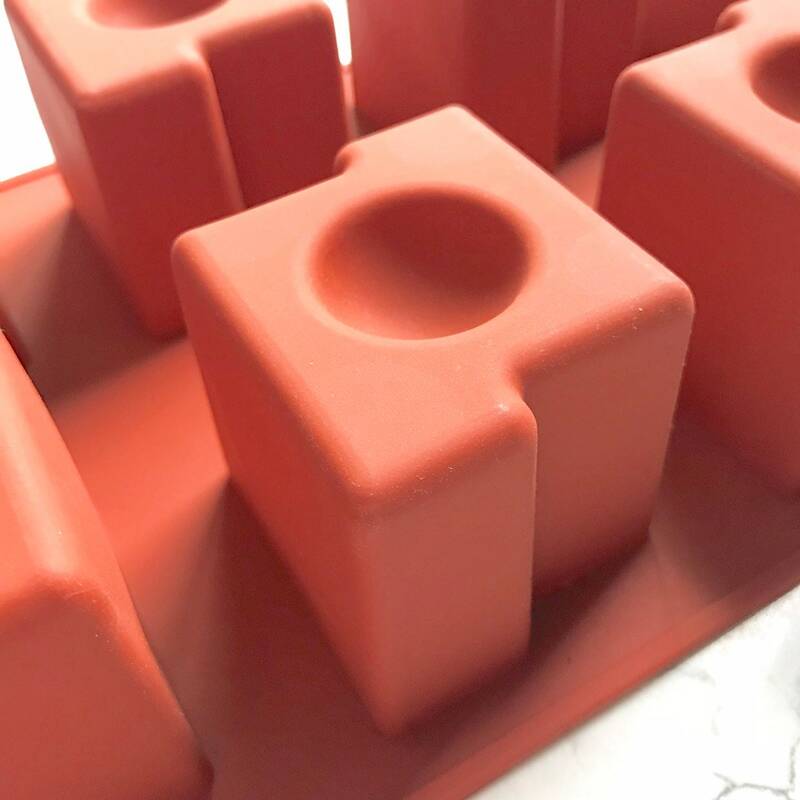 FUNKY CUBE is an 8 cavity silicone mold with a cool geometric design. 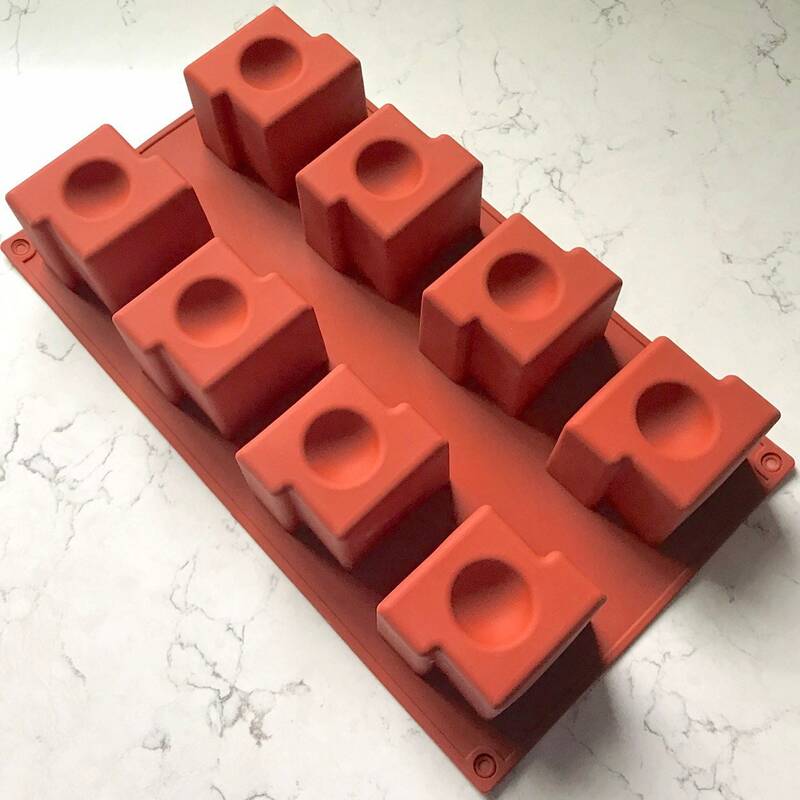 It reminds me of the Tetris game from the 80's but maybe that means I'm old! 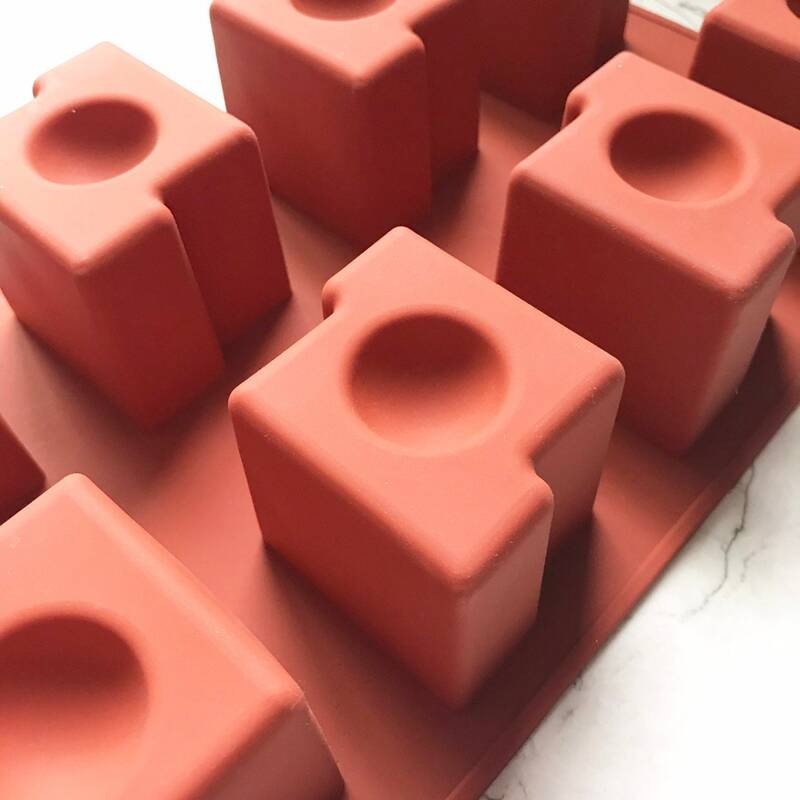 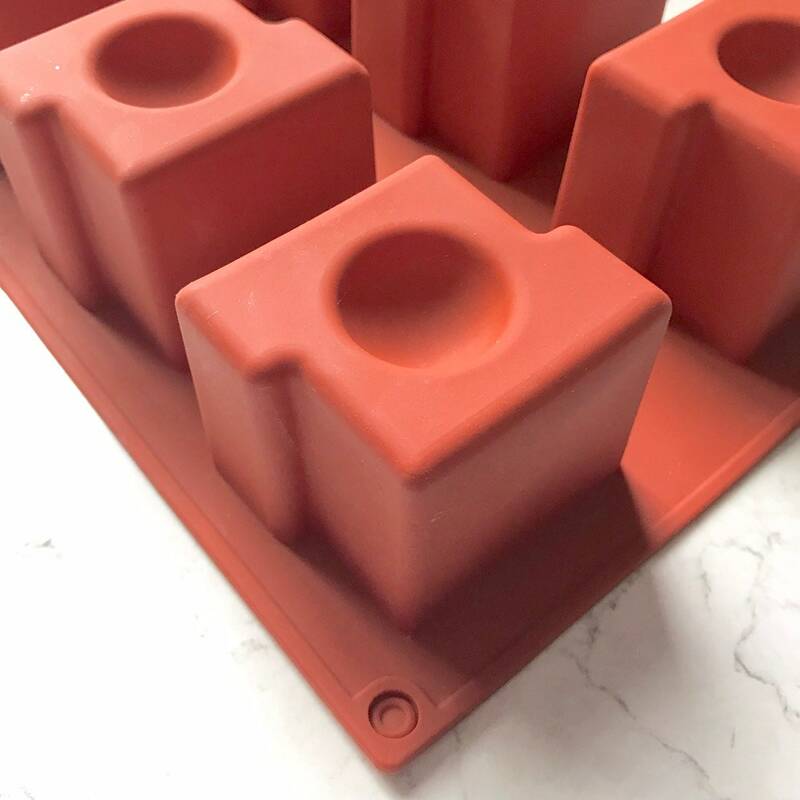 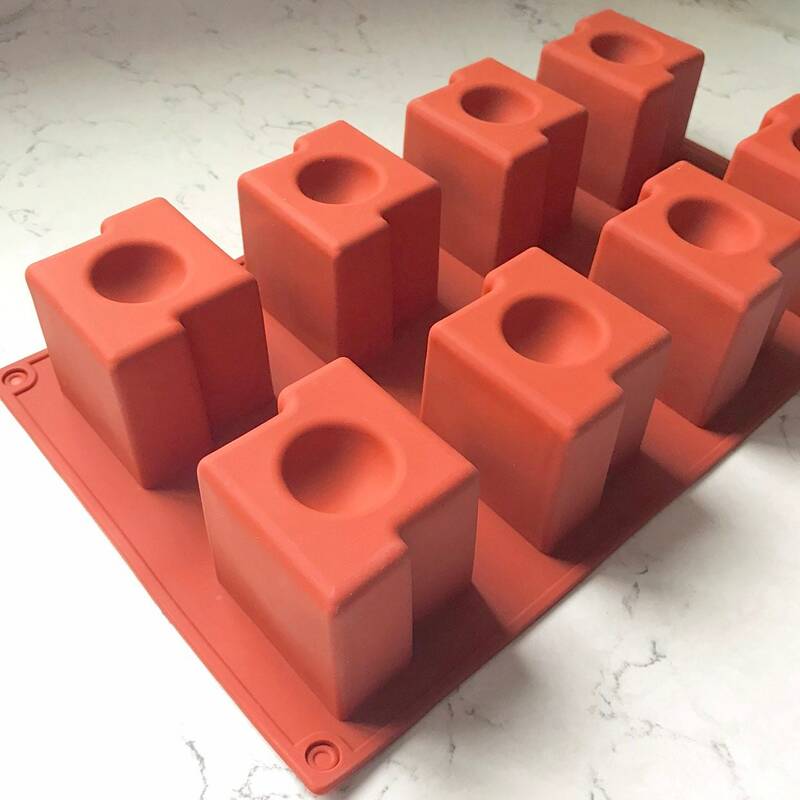 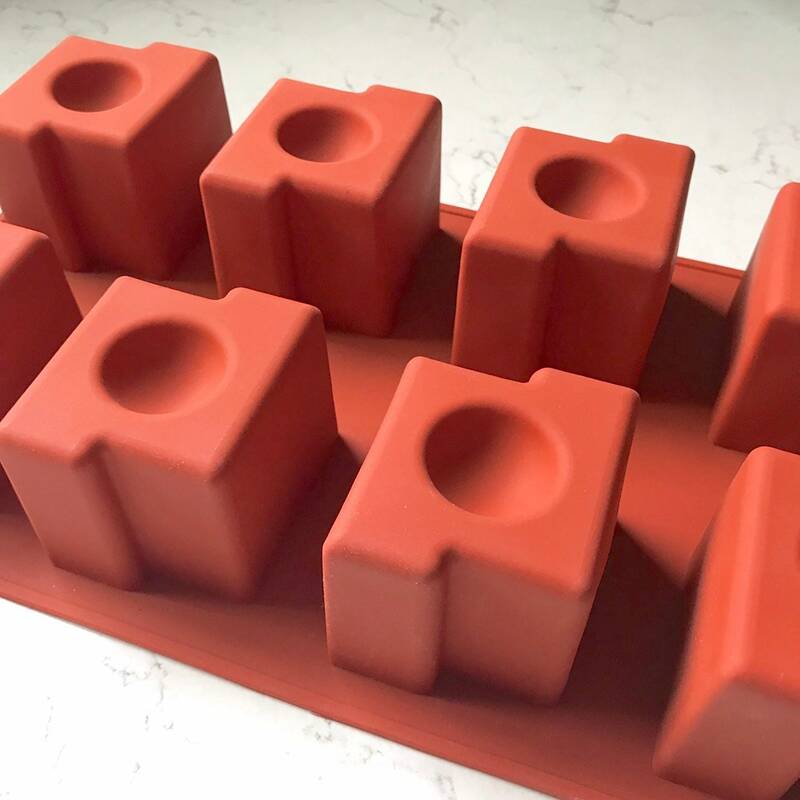 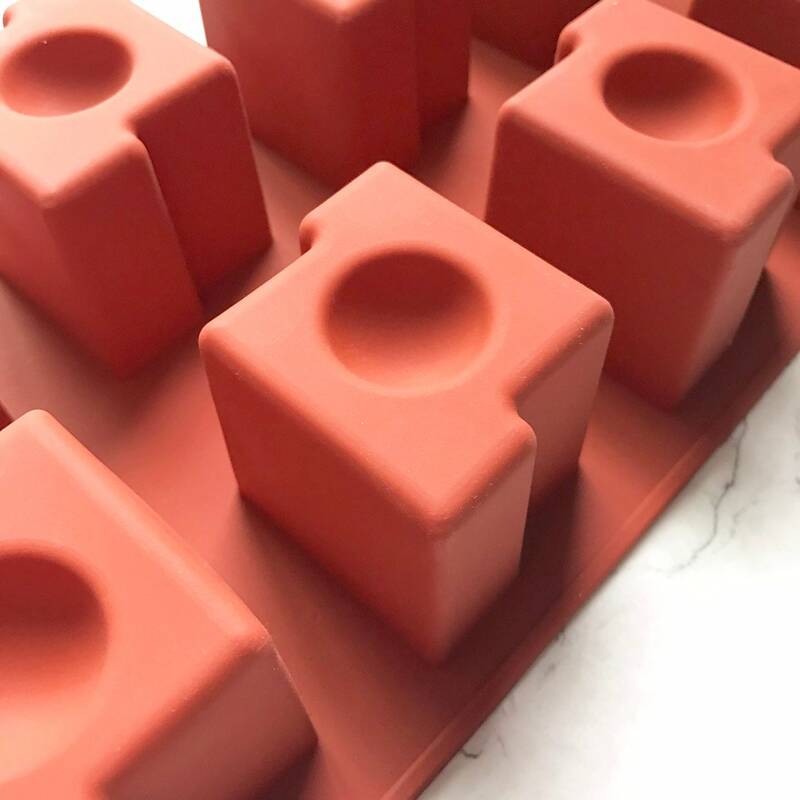 You can use this mold for cold process, melt & pour, wax, lotion bars or soap jellies & more!.